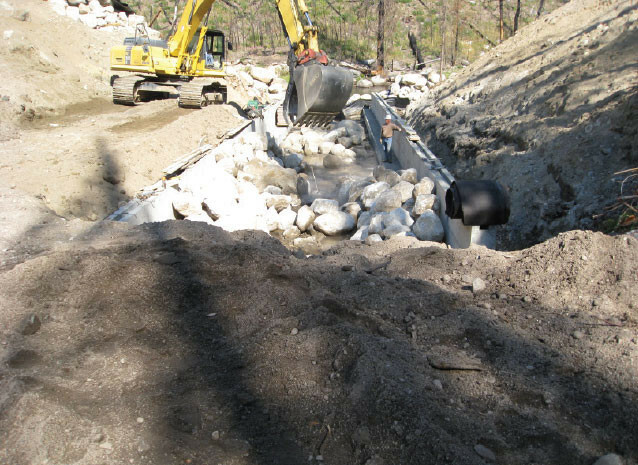 Goat Creek Culvert Replacement Project consisted of replacing an existing 96”diameter CMP with a 20’ x 10’ Multiplate Arch Culvert. This was done to assist native salmon in accessing breeding grounds. After excavating to depths of 40’, the live creek was diverted into a temporary channel/culvert. The 125’ long Multi-plate Arch was installed with stream simulation fish barbs, rock bands and crescent weirs. Local forest fires delayed this project for two years. Even with the increase of pricing during this time, DLM Contracting, Inc. performed this project under budget and within the schedule completion time. 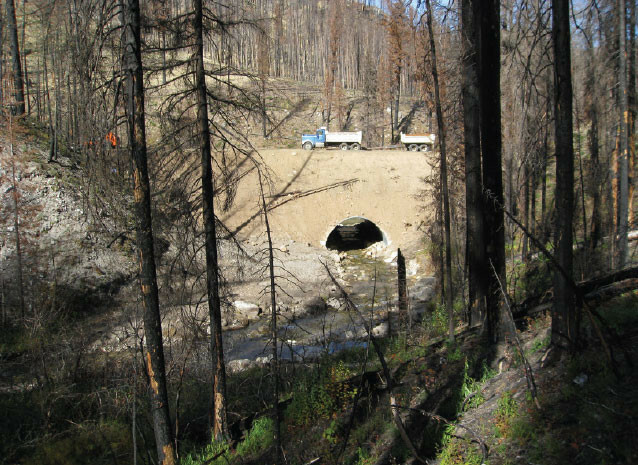 The project was done with coordination from the USDA, Payette National Forest, and the local Native-American Tribe. 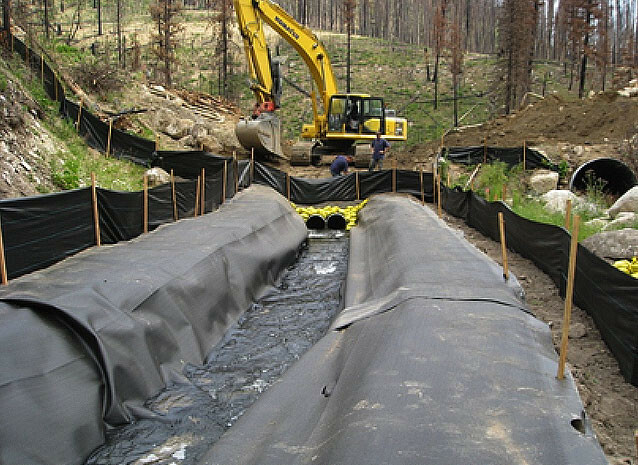 Because of the clean installation of this Multi-Plate Arch Culvert, pictures from the project were included in the supplier’s yearly calendar.